February 2, 2016 by David A. Nothing says luxury and refined style quite like a Rolls Royce. When Henry Royce designed his first car over 100 years ago, he did it with a “money-is-no-object” attitude. From the Silver Ghost in 1907, to the V12 Phantom III of the 1930’s, Rolls was a pioneer in blending performance with opulence. 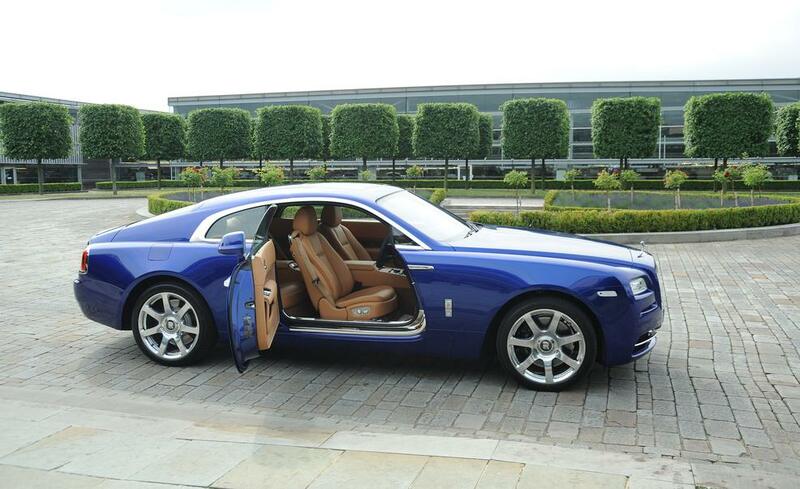 Reintroduced in 2013, the Rolls Royce Wraith is no exception. It’s packed with the most powerful engine ever to be featured in a Rolls, and has a staggering number of customizable options. Check out Car and Driver’s review of the 2016 Wraith. You could spend up to half a million dollars purchasing a Rolls Royce Wraith, with features like a gold-plated hood ornament (the “Spirit of Ecstasy”) and 1340 fiber-optic lights in the headliner to resemble a starry sky. Or you can just look like you’ve got that kind of cash flow, and rent one from us. Are you interested in learning about the 2016 Rolls Royce Wraith? If so, you’ve come to the right place. If you want to learn more about this ultimate luxury car, then continue to read the rest of this article. 1. Features- For starters, the Wraith can reach 60 MPH from 0 in just 4.4 seconds, and this is thanks to the V-12 engine that powers it. The engine is a 6.6 liter twin-turbo., and it has 624 horsepower. The power this car delivers is beyond amazing, but it’s not just the engine that’s powerful, as it is equipped with an 8-speed automatic transmission. The Wraith is equipped with GPS and it is capable of using terrain data, which is what the transmission uses to pre-select gears. As a result, the vehicle will offer you a smoother ride around tight turns, as well as dales and going up hills. As for the wheels, they are 20-inches, but you can get 21-inch wheels, as they are optional. 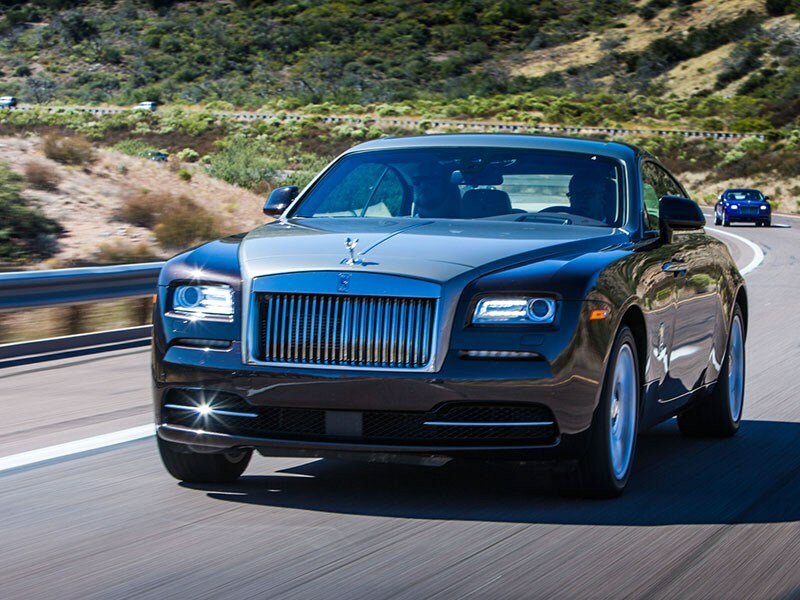 Perhaps the most impressive feature that the 2016 Rolls Royce Wraith has is its air suspension. The suspension is controlled via electronically. This is one of the reasons why the vehicle offers drivers a smooth ride. Furthermore, the interior features crafted woods, as well as soft leather and the seats are extremely comfortable. Consumers can get added features such as a fixed glass roof, which will allow them to look right up at the stars, and they can get a leather sun blind if they want it as a feature. There are many options drivers can choose from, so if you decide to get a Wraith, make sure to view what some of your options are. The 2016 Rolls Royce Wraith is built to last and it has a very solid and durable build, which makes it a safe bet. Other safety features include smart airbags and seat belts that are force-limiting, and the vehicle is equipped with ACM, short for Advanced Crash Management. The system takes appropriate safety measures in the event it is involved in an accident. 2. Fuel- The 2016 Wraith may be powered by a large engine, and the overall build is quite large, but this doesn’t mean it is horrible on fuel. In fact, it gets around 13 mpg for city driving and around 21 mpg highway driving. The 2016 Wraith is actually more fuel efficient than the Rolls Royce Phantom Coupe. 3. Price- The price consumers can expect to pay depends on a number of factors, but the base price does start at around $300,000. This is a good price, especially considering the quality of the car. There are extra features and additions you can get, and this can add thousands to the base-price. Also, the price you will pay for it depends on where you decide to buy it from. As you can see from this 2016 Rolls Royce Wraith overview, it is a high quality vehicle. Take a for a spin today with enVus Motors!